It’s the most wonderful time of the year! Or most stressful, depending on what line of work you do and how many people you need to buy for. If, like me, you work in retail, this time of years means you are working harder than ever before and barely have any time to do Christmas shopping. Luckily, I am here to make things that bit easier for you. 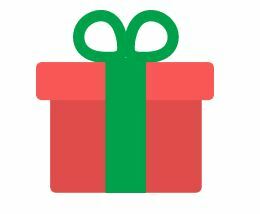 I’ve created this toddler gift guide to help you pick out something adorable for the toddler in your life, whether it be your baby girl or your grandson, I hope there’s something here that really tickles your fancy! 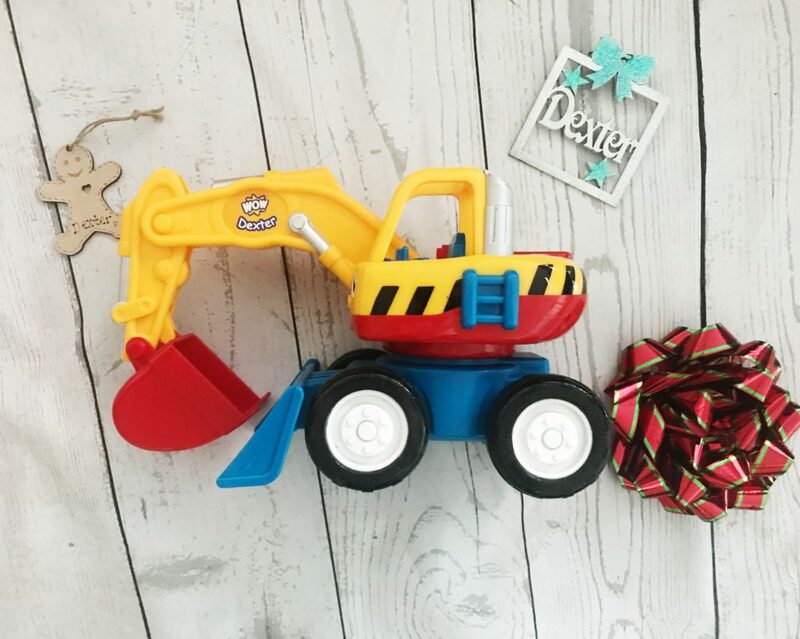 This gorgeously crafted motorised digger is suitable for toddler aged 18 months to five years and comes along with three rattling boulders and a little figure who sits proudly in the front of the vehicle. I love how this toy encourages fine motor skills by encouraging your toddler to use the mechanical arm to scoop the boulders. The digger also makes a realistic engine noise which alone has kept Dex absorbed for hours! We ADORE The Very Hungry Caterpillar in this house and Dex loves it when I read the story and exclaim that I can’t believe how much such a little creature can eat. This gorgeous wooden pull-along is the perfect gift for lovers of the book. Dex has reached that age where he enjoys pulling things and this brightly coloured caterpillar is suitable for twelve months an upwards. This brightly coloured bus is suitable for toddlers aged one year up to three years old and will become more and more useful as toddler grows. Dexter adores big red buses, mainly due to the fact that his favourite nursery rhyme is The Wheels on the Bus, but also because they are just so cool to look at. 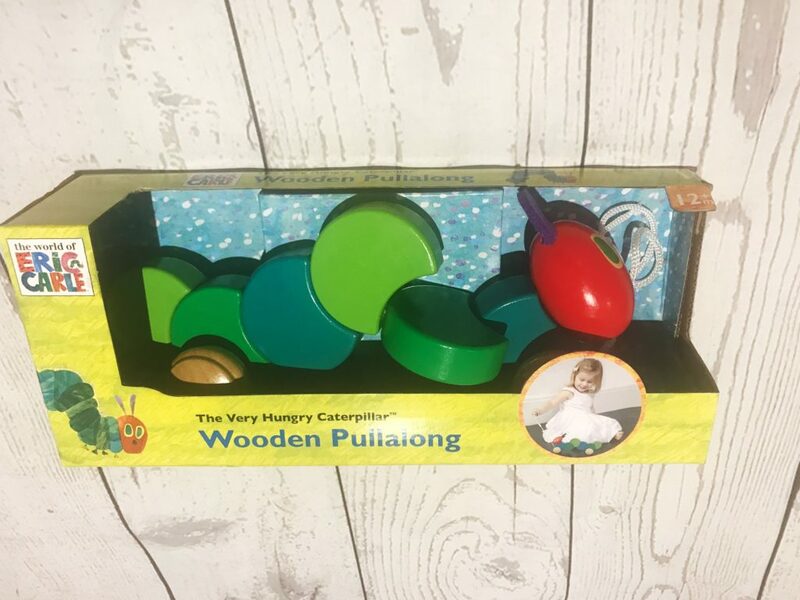 I love this particular toy because it encourages learning of phonics, numbers, letters and vocabulary and in my opinion, toddlers are never too young to start learning. I am hoping this will encourage Dexter’s vocabulary as we are currently stuck on only five words! Dexter adores this Take-Apart toy despite it being aimed at toddlers a bit older at 3 years of age. His obsession with trucks fuels his love for the bright yellow machine and he also loves the electronic power drill which whizzes and whirrs. He is too little to understand that the power drill can detach and reattach seven different screws on the truck, but I love that this toy will last him for years. No Christmas Gift Guide is complete without featuring a garage playset, one of my favourite toys as a toddler. This wooden creation is aesthetically pleasing while giving your toddler hours of fun. Any car mad toddler will love pretending to fill up their cars with petrol, moving their car up and down the lift with the attached pulley and simulating a car race by whizzing their vehicle along the tracks. This playset is suitable for toddlers aged three and above. I had to include this life-like minature version of a Hotpoint washing machine because I remember it being my favourite toy as a toddler. Dexter is absolutely OBSESSED with our washing machine and loves nothing more than opening and closing the door, pulling washing in and out of the drum and pushing all of the buttons, much to my annoyance when I’m trying to plough my way through the endless washing pile! This washing machine keeps him entertained for hours and keeps his little hands busy while I’m trying to get my drying done. Receiving a My Little Pony Show Stable – I had been after one for a whole year! shiny black and white bike when I was about 8 years old. The year I got a Furbie! My parents told me they hadn’t managed to get one for me but they would get it in the new year – but actually my mum had been up at the crack of dawn to get it. I was the happiest kid that day! The first year I unplugged the phone to ensure an uninterrupted Christmas day with my husband and children. It was heaven! 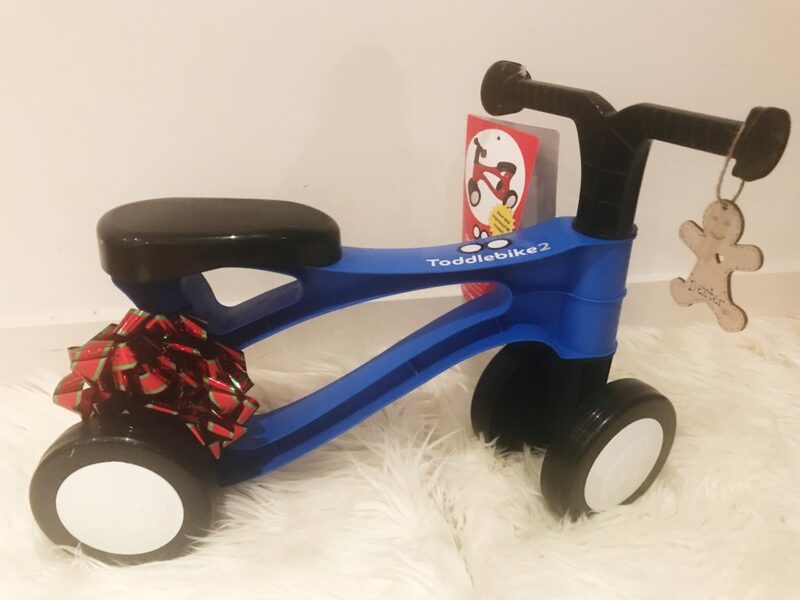 We LOVE our toddlebike – great choice! Love the look of the digger, that would definitely be a hit in our household. Anything with wheels always is! I remember being little and getting a huge Barbie dolls house from santa amazing! My Great Uncle Paddy spending Christmas with us when I was a child. He was great company, entertaining and fun. Always nice to spend quality time with Loved ones. Getting a new bike which had a cute little bell. The first year with our little boy! Receiving a pool table when I was about 10, it was a total surprise! Watching my four children open their presents. My favourite Christmas memory is putting on a mini play with my brother for my nanny! I remember getting a raleigh striker one year. Watching all the kids Christmas movies with my three brothers whilst indulging with our Cadbury’s selection packs! Simple but a real feel good memory. My mum making me and my little brother sit at the top of the stairs, till she went down to check if santa had been (she was making her coffee and doing some final checks!) lol! We couldn’t get anymore excited! Then the moment came where she’s shout up Santa’s been!!! Love her so much for the wonderful childhood she gave us. A few years ago I went on holiday and returned just before Xmas. I had left the Xmas tree and decors out in case my boyfriend had the urge to put the tree up while I was away. To my great surprise, he had! And he’d done a lovely job of decorating the tree, I was well impressed! My nephew being born on christmas day! Our first christmas with our daughter. My nephews 2nd Christmas. Because he was old enough to understand what was happening and was excited by every present he got(even pyjamas). Going to bed on Christmas Eve and trying to fall to sleep. Our first Christmas with my eldest daughter. I think I was still in shock as I didn’t realise I was pregnant until a while in the pregnancy. It was a lovely Christmas though. Staying up to the early hours with my little brother, listening out for santa! My Mum making my Christmas Party dress every year. Wearing those dresses made me feel so special. being about 6 and waking up, opening my pressies at 3am, then going back to sleep!! My favourite Christmas memory was the year I spent with my cousins. We played with the Christmas toys all day and night. Opening sega mega drive when i was 12! My favourite Christmas memory has to be getting a playstation 2 when i was a child i was so excited to get it as all my friends had one. Getting my Barbie campervan and seeing how jealous my cousin was! Waiting for the postman who came with parcels but I had to wait until Christmas Day to open them! Santa left a shiny new red bicycle for me one Christmas. It was so close to my nose that I woke up smelling the new rubber tyres. Wonderful! I remember getting a purple people eater and I loved it! My first christmas with our little boy in 2015 who was 15 days old on christmas day! My favourite Christmas memory is when I was 7 and we got an unusually large amount of snow so we made the most of it and built an igloo in the garden with my Dad and brother & sister. It was great fun. Not last year, but the year before someone knocked on the front door and when my Mum answered it was my sister and brother-in-law. They live in the USA and had managed to get over to the UK as a surprise without any of us knowing apart from my niece (as my sister knew she would be worrying if she couldn’t get hold of her). The look on my Mum’s face was definitely the best thing that year. They had even rung the place where we were having Christmas dinner and managed to get 2 extra places at the table. Sneaking a little look at all the presents and thinking my mum hadn’t noticed the little tears! 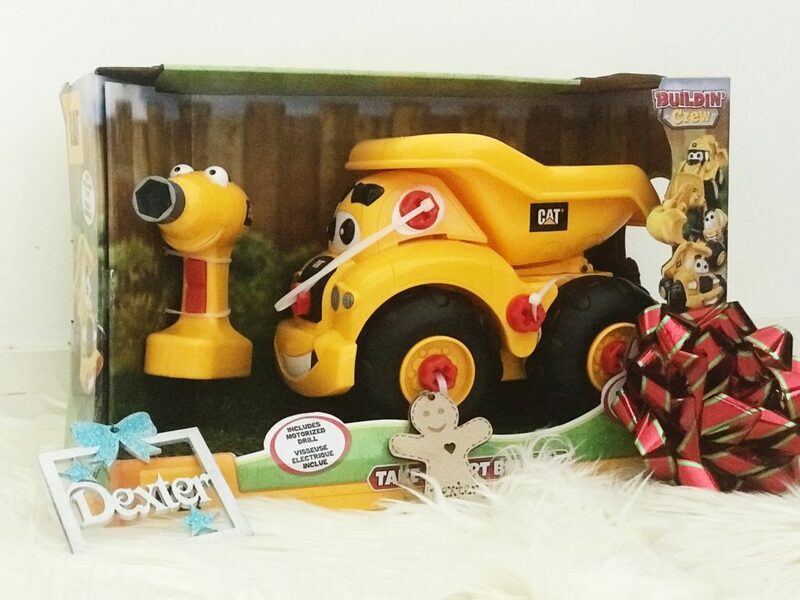 We got our son a Dexter the Digger this year and think he’ll absolutely love it. Or at least he will if we can keep the older ones away from it, it just looks like so much fun.